As hard drive capacity grows and prices drop, more and more of us are transferring our music collection from single units (CDs) to large-capacity storage. 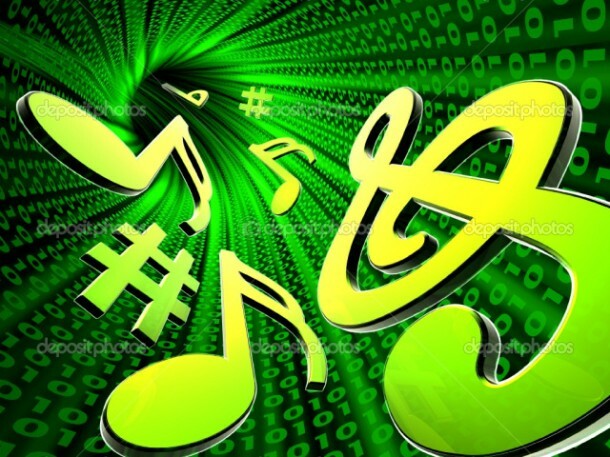 After all, your computer makes it possible to find any particular song (or other track) in seconds, whether you have dozens, or hundreds of thousands. Admittedly, getting a decent digitization of an LP or cassette takes a lot more skill (and equipment) than ripping a CD. But even if you intend to (eventually) start ripping your LPs and tapes, it's best to develop the basic skills on your CD collection, anyway. Check out the below posts to get you started. It&apos;s hard to believe, but the first personal computers could not play music; could not make any sounds at all other than a helpful beep! when powering up. Yet, in 2017, I not only play music on my desktop computer, but on my smartphone (which is also a computer). While I do own traditional devices (a turntable, a cassette deck, etc. ), I only use them to rip the contents into digital files…because that has become the common denominator that allows me to create a playlist that includes Sam Smith, Sammi Smith, Kate Smith, Bessie Smith, and Patti Smith (all from different decades) one after the other. Try that with an automatic turntable! How to name and organized your digital audio files so that you can actually, you know, find them! I have been digitizing my rather large library of CDs, LPs and tapes and have gotten well past 10,000 MP3 files. When visitors find this out, their first reaction is usually, "Oh…my…God!" Their second reaction is usually, "But how can you find what you want?" The answer, of course, is efficient organizing, just as it was when I kept all my CDs alphabetized in plastic racks mounted on the wall next to the CD player. But how to do that, you ask? Well, that&apos;s the subject of this post. Yes, the verb is "rip". I assume it derives from "rip off" but it&apos;s perfectly legal for you to rip digital audio files from your own CDs, records and tapes, just as it is legal for you to make cassette copies of them. What&apos;s not legal is to share those MP3s with other people, just as it wouldn&apos;t be legal for you to churn out cassette copies of a CD and give them away (or, worse, sell them). Similarly, it isn&apos;t really kosher for you to rip your friend&apos;s CD and keep the MP3s for yourself. The law states that you can make "backup" copies of your own CDs for your personal use. How you can make your ripped CDs sound even better, and be able to quickly find any song you like! Previously I described the basics of using different rippers to create MP3 or FLAC tracks from your CDs. Today I&apos;m going to cover ways of finessing your MP3 tracks so that you can get the most out of them.